If you’re going to get sassy online, sometimes you’ll get the sass right back. One Star Wars Battlefront influencer learned that in spades this week. It all started when someone posted a teaser highlighting Christmas-themed mods in Star Wars Battlefront 2 that would put characters such as Obi Wan Kenobi in Christmas-themed apparel. EA’s Star Wars Twitter account didn’t seem to be big fan of the new mod, posting this in response. Every day we stray further from the light of the Force. Christmas Obi-Wan is now officially Canon. The person behind the EA account then then shot back, citing the user’s Game Changer status. Game Changers are a part of EA’s community partnership program that grants them early access to gameplay in exchange for feedback. That's a nice Game Changer status you have. It would be a shame if someone lost it. So EA isn’t really that big of a fan with Christmas Obi Wan. But the video that ended up causing them such disdain isn’t all that bad—it merely showcases Obi Wan, General Grievous, and other Star Wars characters frolicking around in Christmas-themed colors. It’s only natural for this time of the year! 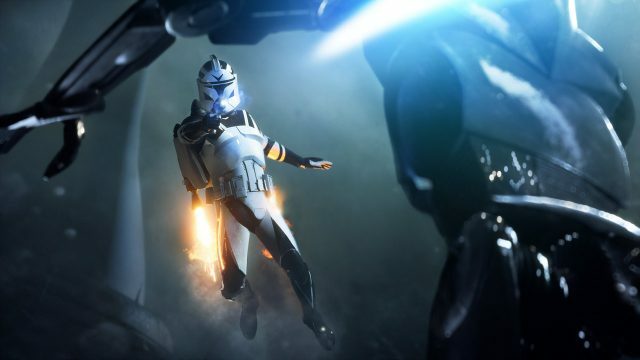 Released in November of 2017, Star Wars Battlefront 2 received mixed reviews upon release. In Game Revolution’s review of the game, Jason Faulkner gave the game a 2.5/5, noting that the game constantly puts you in situations where you feel the need to use the game’s microtransactions, namely the loot boxes. The game’s microtransactions have garnered massive controversy, enough that EA eventually removed them. They returned to the game earlier this year.